¶ 2012 album from the Grammy winning singer, songwriter and musician. her first album since 2005's Souls Alike. Produced by Joe Henry, the album is her return to the music scene following the deaths of her parents and brother. The album was recorded with her longtime touring band as well as a handful of tracks with top-level musicians such as Bill Frisell. Features the first single 'Right Down The Line', a cover of the Gerry Rafferty hit. ¶ Main contentWith the release of her nineteenth album, Slipstream, Bonnie Raitt is starting anew. The album marks her return to studio recording after seven years; it's coming out as the launch of her own label, Redwing Records; and it delivers some of the most surprising and rewarding music of her remarkable career, thanks in part to some experimental sessions with celebrated producer Joe Henry. ¶ The years before and after Raitt's last album, 2005's acclaimed Souls Alike, weren't an easy time for her, with the passing of parents, her brother, and a best friend. So after following that album with her usual long run of touring—winding up with the "dream come true" of the "BonTaj Roulet" revue with Taj Mahal in 2009 and a triumphant appearance at the all-star Rock and Roll Hall of Fame 25th anniversary concerts the same year— she decided to step back and recharge for a while. ¶ "I took a hiatus from touring and recording to get back in touch with the other part of my life," she says. "On the road, under stress, it's hard to stay in balance and move forward." Excited to have time at home and with her family and friends, she could go to the symphony, check out live jazz and Cuban shows, and so much else. She continued her ongoing political work, helping to organize NukeFree.org in 2007 and supporting her favorite non-profit organizations. "I didn't have to be the professional version of myself for a long time," she says. "It wasn't so much a vacation as a chance to take care of a lot of neglected areas of my life, a lot of processing after all that loss and activity." ¶ When she started thinking about making music again, Bonnie knew she needed to try something out of the ordinary. "I was really interested in working with different people, and someone I had always been drawn to was Joe Henry," she says. "I'm a big fan of his writing and albums and love the work he's done producing Allen Toussaint, Solomon Burke, and others. I thought it would be really intriguing to see what we could come up with. Coincidentally, he had been wanting to call me as well. Our first phone call lasted over two hours." ¶ They found a brief window when Henry's usual crew of musicians was available, augmented by a new friend of Bonnie's, the magnificent guitarist Bill Frisell. "I didn't have to produce or get the band together, I could just show up and sing," she says. "I came to Joe's with, to use a Zen expression, 'beginner's mind.'" The experiment yielded eight songs in 48 hours, and Raitt was inspired to get back to work full force. "I loved singing these songs and playing with these guys so much," she says, "This was just the jumpstart I needed to get me back in the saddle and wanting to work on a new album." ¶ She plans to release the full results of the Joe Henry sessions down the line, but for now she chose to include four of these tracks on Slipstream —the Henry originals "You Can't Fail Me Now" (co-written with Loudon Wainwright III) and "God Only Knows," and two songs from Bob Dylan's Time Out of Mind album, "Million Miles" and "Standing in the Doorway." ¶ A few months later, Raitt gathered her long-time touring bandmates—George Marinelli on guitar, James "Hutch" Hutchinson on bass, and Ricky Fataar on drums—along with a new addition and an old friend on keys, Mike Finnigan (Taj Mahal; Joe Cocker; Crosby, Stills and Nash) in a Los Angeles studio. Bonnie was also pleased to have Maia Sharp, one of her favorite artists and a collaborator on Souls Alike, joining her team once again, adding back-up vocals to several songs. ¶ There are two ways to carry old practices forward: Preserve or adapt. Both approaches have their ups and downs. Mere preservation can turn something hard, laying on the sheen of authenticity that masks death within. Adaptation can dilute a thing's essence so thoroughly as to render it unrecognizable. ¶ The most skillful practitioners of a tradition — the blues, for example — swim between these two lanes with a fluidity which belies the thought and effort that makes their work so smooth. 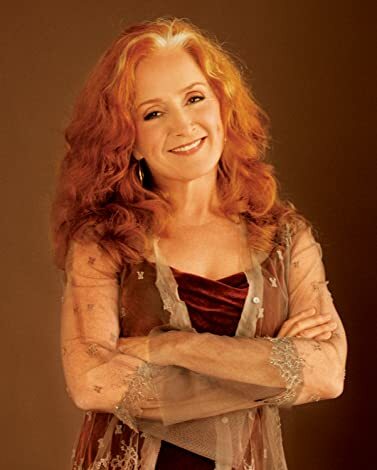 Bonnie Raitt has been doing this since 1971, when she emerged as a redheaded hope for a musical style that had already been co-opted by many an overblown classic rocker. With a voice as buttery as grits and a remarkable capacity for playing bottleneck guitar, Raitt quickly earned her place on the dais with forebears like Sippie Wallace and Howlin' Wolf. But she also had a great pop sense, finding kinship with contemporary songwriters like Jackson Browne. 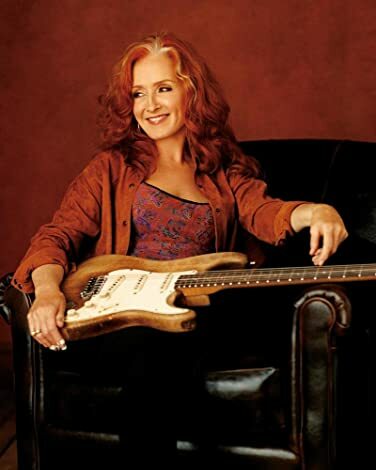 ¶ Fast forward more than four decades, and Raitt still moves forward with grace and substance, showing how the blues remain relevant, both to her personally and in the larger world. Slipstream is the guitarist and singer's first release since 2005, inaugurating her label, Redwing. It represents a regrouping after Raitt's loss of both parents, her brother and her best friend, and was inspired by her own struggle to reclaim the private life she'd given to her music, as well as the larger American crisis of the current recession. Produced mostly by Raitt herself, with four outstanding tracks helmed by master of atmospherics Joe Henry, it's warmly contemporary, while still strongly rooted in the blues moods and techniques that Raitt has always treasured. Slipstream provides plenty of the many-sided adult-contemporary pop that made Raitt a huge star in the late 1980s with hits like "Something to Talk About." Chosen with Raitt's usual impeccable taste from the cream of her songwriting circle (including Randall Bramblett, Paul Brady and Al Anderson), the bulk of Slipstream serves Raitt's lifelong project of expressing how blues idioms apply to the life of the modern woman. ¶ There's a reggae take on Gerry Rafferty's yacht-rock favorite "Right Down the Line;" Bramblett's "Used to Rule the World," a sidelong glance at the American Dream that Sharon Jones would love; an almost Western ballad about fame and drugs, "Marriage Made in Hollywood" (Brady's original sounds more Irish); and Anderson and Bonnie Bishop's perfectly despondent "Not Cause I Wanted To," a modern rambling-woman's blues that allows Raitt to demonstrate her unmatchable gift for making regret beautiful. ¶ In all of these songs and more, the production sounds clean and intimate, while the guitars — Raitt's, Anderson's and tourmate George Marinelli's — take up as much room as the vocals. This is a plus. Raitt's chops are subtly honed and her responsiveness to her bandmates turns Slipstream into a rewarding group dialogue. The talk gets most serious, though, in the four songs Henry produced, three of which also feature electric Zen masters Bill Frisell and Greg Leisz. ¶ It's simply a thrill to hear Raitt in her element, exchanging guitar licks and lines with Frisell and Leisz. Two Bob Dylan covers, both culled from 1997's Time Out of Mind, allow the musicians to wax cinematic on basic blues forms. Henry's own "You Can't Fail Me Now," co-written with Loudon Wainwright III for the soundtrack to Knocked Up, gains a gospel flavor here. This is preservation as quiet, personally driven innovation, with new shades of meaning shot through familiar phrases. ¶ In these evocative moments and throughout Slipstream, Raitt and her fellow players never break a sweat about fitting in with current pop trends; they're doing what they love, and it's utterly relevant because it represents their well-considered lives. Raitt's gift for expressing emotions on a real, human scale is what makes her so beloved. On Slipstream, she takes on some of the hardest, and she doesn't fail us now.